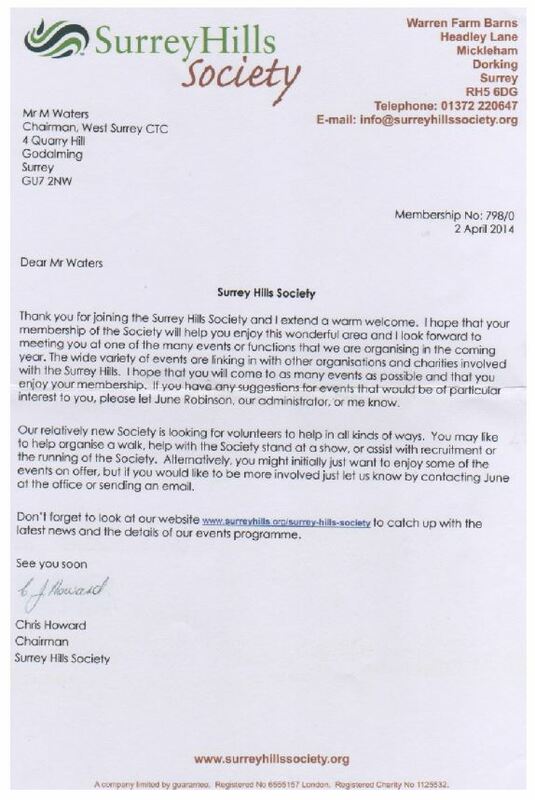 This is just to let you know that West Surrey CTC is now a member of the Surrey Hills Society. 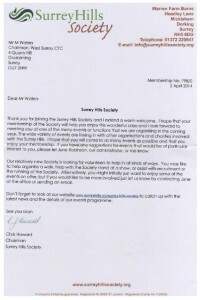 We use their logo so it was considered appropriate that we joined, and doubly so since a good proportion of our rides take place in the lovely Surrey Hills. Their letter of welcome is shown below. Should you wish to take part in any of the events they lay on, I am sure that you can. If you need to quote a membership number then, the number is 798/0.